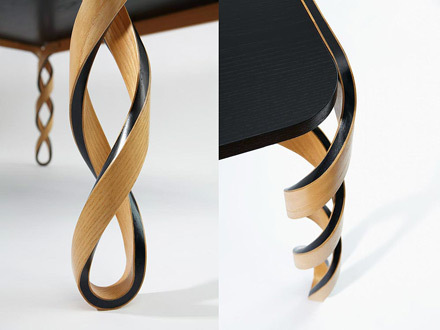 Paul’s 2011 Watson table (named after James Watson, the American scientist who discovered the helical structure of DNA) is inspired by the barley twisted legs of early 17thcentury Spanish (3rd image), Portuguese and Franco/English (4th image) furniture and is simply a 21st century furniture marvel worth noting. 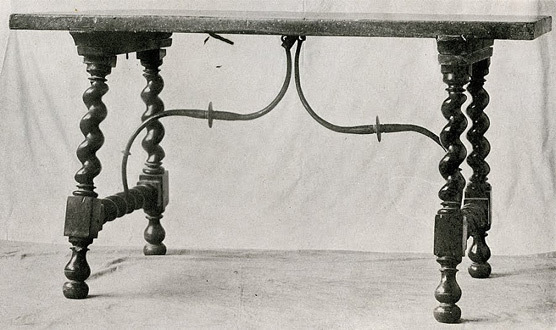 Every inventor, designer and artist, regardless of the era, reveals his artistry with the tools of the day. And no different than in the 1600s, Paul has mastered today’s digital manufacturing techniques. 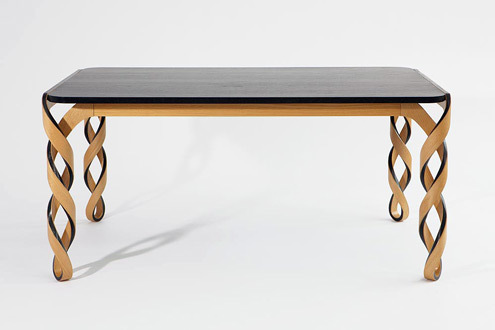 So instead of using only hand tools for building furniture, Paul uses some old world craftsmanship, 3-D modeling computer software, modern “ingredients” and a mold to produce these marvelous tables – perfect examples that embody today’s definition of the marriage between exceptional design and function. 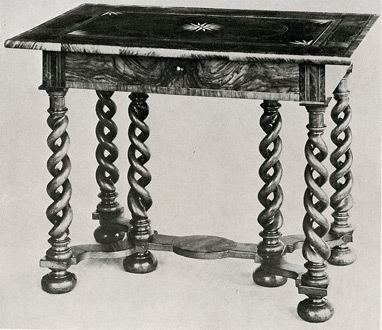 image credits: (1 and 2) Paul Loebach, Brooklyn, New York; (3 and 4) English Furniture from Gothic to Sheraton by Herbert Cescinsky, 1929.